Juliet was graced with outstanding reviews, both locally and nationally, shortly after opening. And we believe, things have only gotten better since. See for yourself. "In a neighborhood full of gems, the new, cozy Juliet sparkles brighter by the day, the ideal example of what a true neighborhood spot can be." "Don’t live in Union Square? Don’t let neighborhood this, neighborhood that dissuade you from making the trip. Juliet is a destination, too, and it offers so many different things to discover." "Union Square restaurant Juliet is a jewel box filled with surprises." "Everything at Juliet is like this: little surprises tucked into a dish, familiar tastes you can’t quite pinpoint, a lot of technique that manages not to be show-offy, or even obvious, except that it makes things irresistible." "He seems to be keeping an eye on every single diner, but it’s earnest rather than overbearing. She moves through the open space like a gazelle. In the film, they’ll play themselves." "Don’t be fooled by the casual vibe: They’re flexing serious culinary talent here. Lewin has the instincts to make him a natural successor to Gordon Hamersley." "Desserts are a return to form—with a remarkably sure touch that would please not just Gordon Hamersley but Alice Waters." "Juliet has the ambition and skill of a destination restaurant." 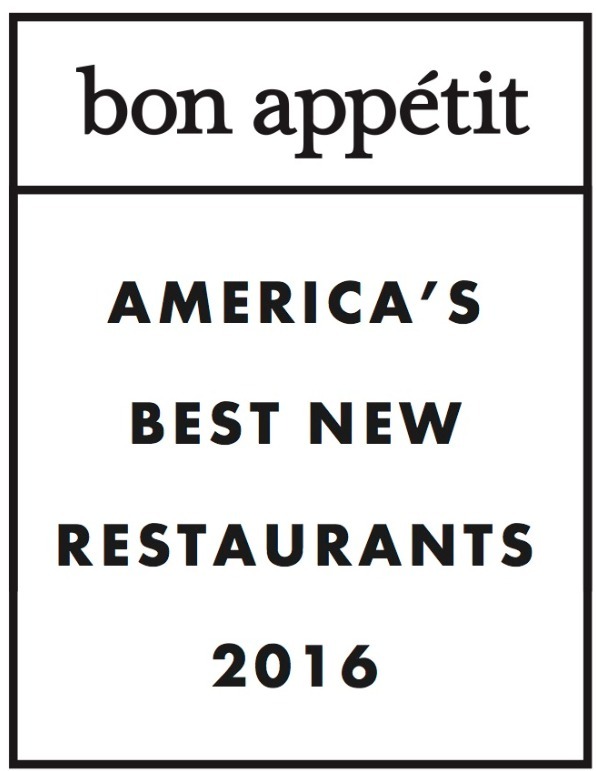 "America's Best New Restaurants 2016." "Looking for an off-the-beaten-path date spot? This place is tailor-made for parties of two (and great for solo dining)." "One thing is guaranteed: This will be energetic, personal cooking that’s truly one of a kind." "...beneath Juliet’s sunny, unpretentious facade lies some extraordinary sourcing underpinned by a boatload of refined technique." "Juliet roundly succeeds in its mission to be a versatile, friendly neighborhood restaurant for a neighborhood with refined tastes and the willingness to pay a premium for it. But you will be entirely justified if you don’t happen to live nearby and still make it a destination for a special-occasion dinner some evening."